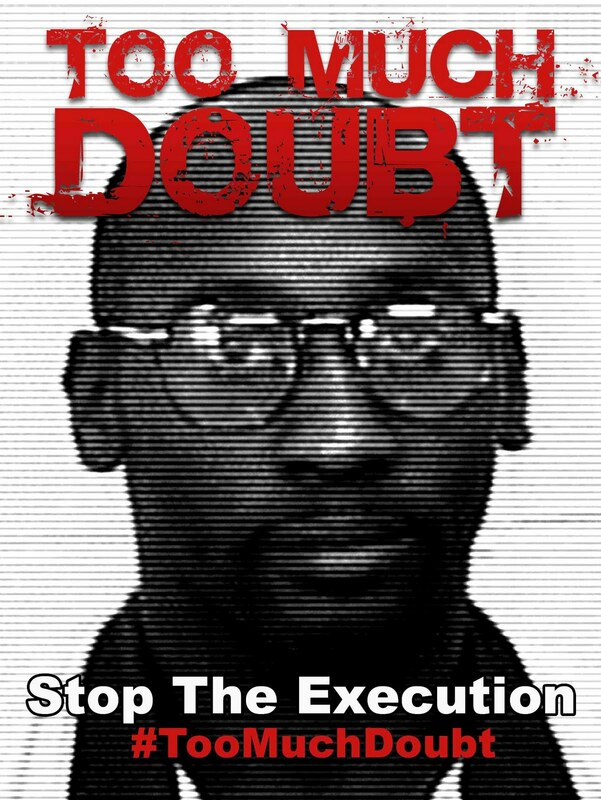 With only one week to the execution of Troy Davis by the state of Georgia, people of good will around the world cannot afford to remain silent. Today, Amnesty International USA, Amnesty International Sweden, the National Association for the Advancement of Colored People (NAACP) and many rights activists and supporters across the internet replaced their profile pictures on Facebook with the following picture of Troy Davis. The goal is to raise awareness about the case of Troy Davis. Troy Davis was convicted for murder in 1991. His conviction was based on eyewitness accounts and since his conviction, seven out of the nine star eyewitnesses have recanted their testimonies. There is no physical evidence linking Troy Davis to the murder and some witnesses reported that they were coerced by the police to testify against Troy. One juror in the case told CNN, "if I knew then what I know now, Troy Davis would not be on death row." Despite all the doubts surrounding this case, the state of Georgia has set an execution date for 21 September 2011, next Wednesday. On 12 September, a letter signed by more than 50 Members of Congress was sent to the Georgia State Board of Pardons and Paroles - calling for a stay of execution for Troy Davis. With only one week to go, the stakes are high and inaction is not an option. You are encouraged to sign a petition by Amnesty International to help stop the execution. Troy Davis could be innocent. Many doubts surround his conviction. The death penalty is flawed and its implementation should be reconsidered. Innocent people could be executed because of wrongful convictions and wrongful convictions are not uncommon. According to Amnesty International, more than 130 people have been released from death row in the U.S. alone due to wrongful convictions. They could have been executed.